Udhayam Cinemas here Tuesday received a bomb threat against the release of Ajith Kumar-starrer Tamil actioner-thriller "Yennai Arindhaal", which is slated for release Feb 5. "We received an anonymous letter last night. 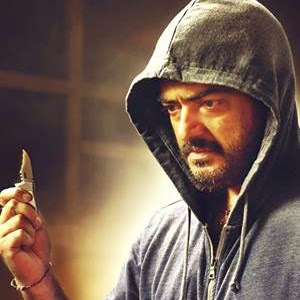 It was a bomb threat warning us to not release 'Yennai Arindhaal'. It has been reported to the police and they're investigating," source from Udhayam Cinemas told.The police is investing the reason behind the threat.Directed by Gautham Vasudev Menon, the film also features Trisha Krishnan and Anushka Shetty in the lead.The film is Gautham's police trilogy after "Kaakha Kaakha" and "Vettaiyaadu Vilayadu".